Fascinating kuchi-e (口絵) woodblock print made in 1895 by the artist Suzuki Kason (鈴木華邨) as an illustration of the novel "Black Lizard" (黒蜥蜴) by the writer Hirotsu Ryuro (広津柳浪), who is credited with the creation of the genre hisan shosetsu (悲惨小説), that is the tragic novel, in Japanese literature. Suzuki Kason (1860 - 1919), although known to collectors mainly for his xylographic frontispieces, indeed rather rare to find, was above all a prolific painter of traditional style, as well as a member of the Imperial Academy of Fine Arts (帝国美術院). 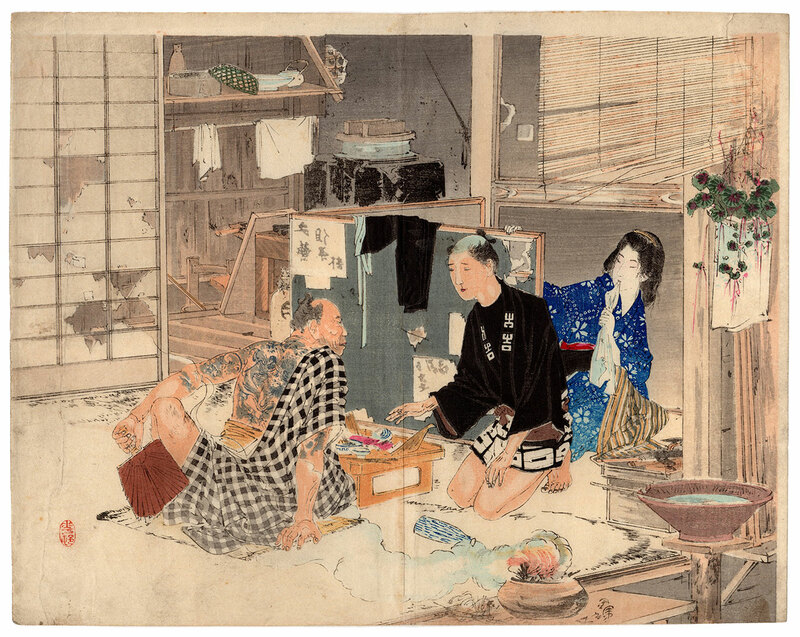 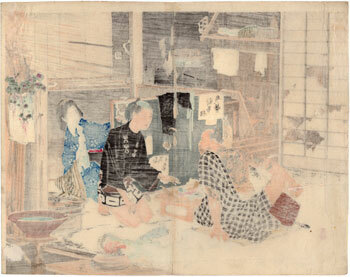 The work on Japanese washi paper (和紙), despite the right signs of the time, is in good general condition.